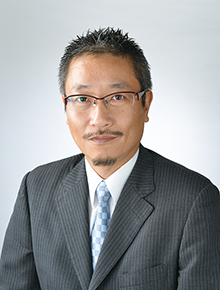 From July 1st 2014 I followed Mr. Haruhisa Goto and assumed with great honor the post as chairman of the Medical Lymphdrainage Association of Japan. Since the Medical Lymphdrainage Association of Japan was founded already 12 years ago, has trained more than 1600 lymphdrainage therapists during this period and continuously and comprehensively has worked to raise awareness of lymphedema therapy within the medical treatment system, I, when the board members approached me with a recommendation to become the new chairman, had at first to think about whether I could fulfill this important task properly. At the same time, however, I recalled having been able to contribute to the Association’s tasks as an advisor, lecturer at the training courses and speaker at the conferences since the establishment of the MLAJ in 2002. I also recalled everyone’s enthusiasm for lymphedema treatment. This enthusiasm I wanted to support to the best of my ability which is why I decided to gratefully accept the post as chairman. The ideal would be, that one day it will be possible to detect and treat lymphedema at an early stage just like it is routinely done for lifestyle-related diseases in every health-care facility. To accomplish this aim a lot more therapists are necessary. At the same time, health care coverage for lymphedema treatment is another major challenge. That is why I will endeavor to cooperate with further associations and training organizations I have already been working with so far to combine strength to be able to make a positive step forward. To tackle future tasks appropriately and to further strengthen the association‘s base built by Mr. Haruhisa Goto, I want to create a strong team of board members, office staff members, lymphdrainage therapists and everyone involved in lymphedema therapy. I therefore would like to ask for your continuing support and guidance and look forward to a fruitful cooperation!